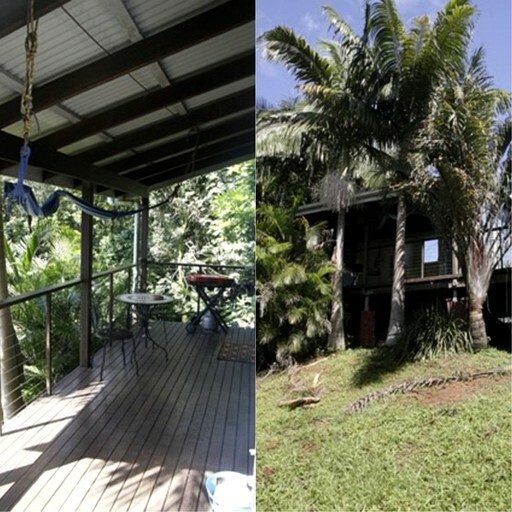 This wonderful, secluded cabin rental boasts a secluded setting near the beaches of Byron Bay, New South Wales. It is self-contained and makes a wonderful option for couples or small groups of three. Inside, guests will find a queen-size bed and also a single-size bed, with both of the beds dressed in lovely linens to help glampers sleep well. The cabin has its own bathroom to offer guests plenty of privacy and the hosts supply toiletries and towels. Glampers will also find a simple kitchen in the rental with a selection of helpful utensils that guests can use to prepare tasty meals after a busy day of exploring. 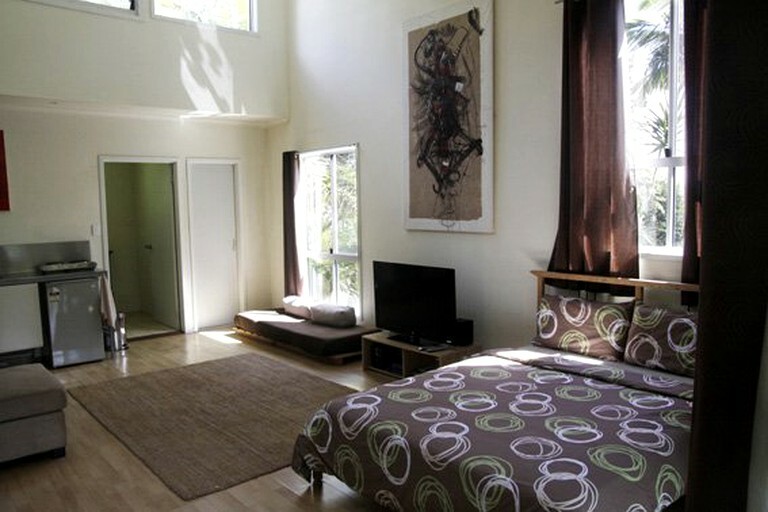 The cabin has an open, studio-style layout with a comfy sofa for relaxing. Glampers will feel right at home in their rental as it is equipped with a wide range of deluxe amenities. All linens and towels are provided and there is both heating and air conditioning to keep guests comfortable. Parking is available and there is also plenty of furniture outside so that guests can relax and soak in the breathtaking views. 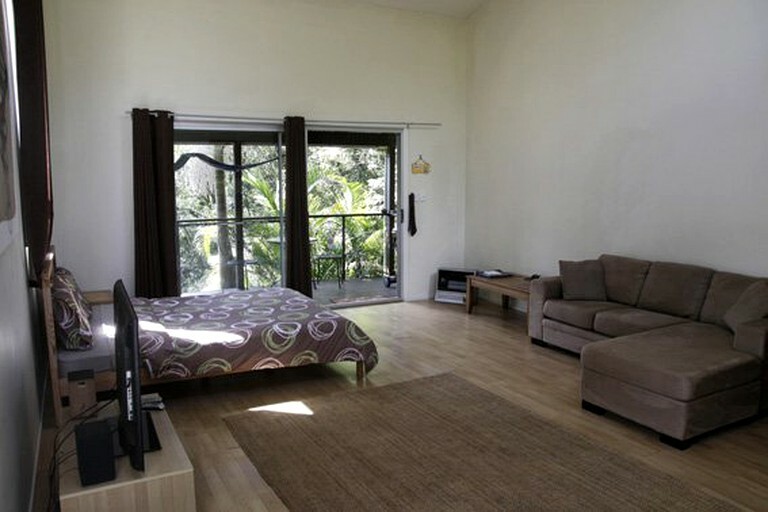 Guests will find this property perfectly situated for an outdoor getaway. 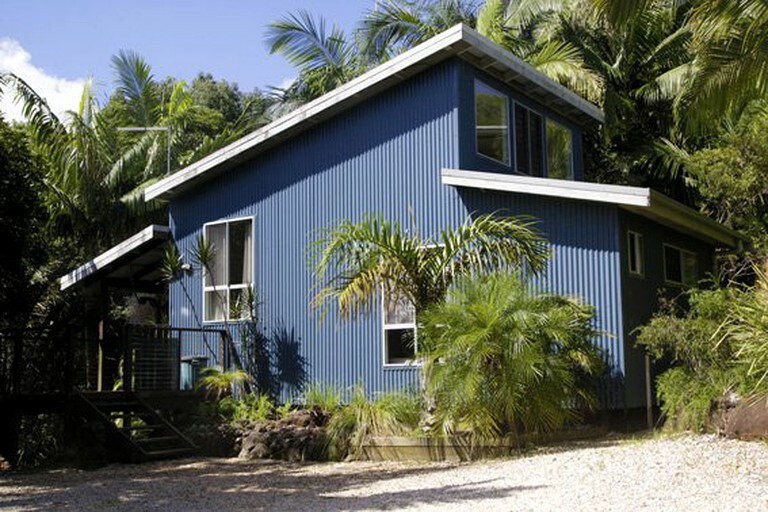 It sits in a private bush setting, just a short distance from all of the hustle and bustle of Byron Bay, New South Wales, and its beautiful beaches. The heart of town offers a wide selection of cafes and restaurants where guests can enjoy meals out and the stunning beaches are home to a whole host of exciting activities, from swimming to surfing. 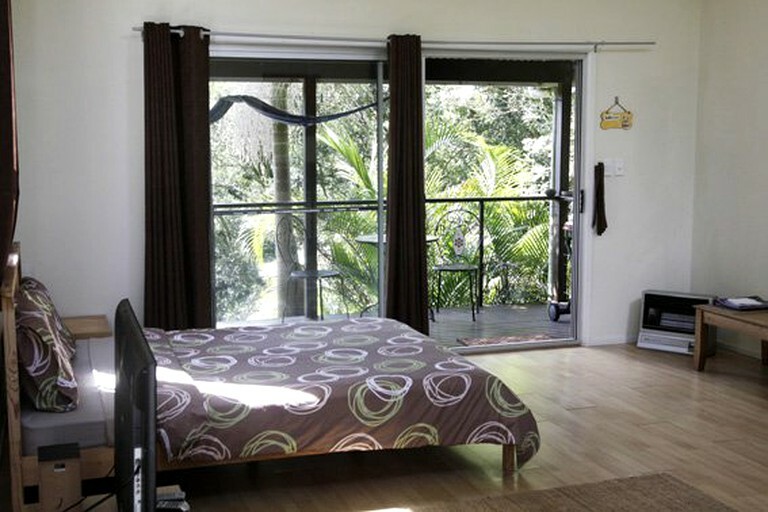 During their stay, guests can also enjoy a cultural visit to the heritage village of Bangalow before heading home to their rental that overlooks the rainforest. There really is no end to the exciting activities available for guests to enjoy during a stay in this property. Byron Bay is known for its amazing waves that make surfing in this part of the world an incredible experience. For those hoping to take things a little easier, the sand is a great place to relax and soak up some sun, with the ocean offering a lovely place to cool off. There are many local boutiques in town where guests will be able to pick up souvenirs and hunt for antiques, before enjoying a delicious meal out. For hiking, guests can head out along the coast to soak in the breathtaking ocean views, or they can visit one of the local parks and wander through the forest to appreciate the beautiful vistas from one of the scenic picnic spots.